Unveiled to the world press at the recent Pro Light + Sound at Musikmesse in Frankfurt, Germany, the Midas XL8 represents yet another large step in the maturation of the live sound digital console. With layout cues, sonic attributes and microphone preamps evolved directly from Midas’ universally lauded analog consoles, the XL8 has the potential to take the high-end live sound console market by storm. Make no mistake, the XL8’s target audience is the high-end user. In fact, the XL8 is Midas’ new flagship product, retiring the XL4 analog console that has had a place in many high-end tours and installs throughout its 10-year product life. Development of the XL8 was fast-tracked resulting in a surprisingly short, three-year cycle. Paramount in the design brief of the XL8 was the issue of reliability, and as such, heroic steps have been taken in the areas of redundancy and modularity. Indeed, no single point of failure can bring down the XL8 due to distributed network hardware, multiple linked processors, and duplicated cabling runs. Like many other devices these days, the XL8 is built on a Linux platform, which has proven to be both stable and secure, compared to other common operating systems. In order to support the XL8 Midas has set up a global 24/7 phone support group with locations in the US, UK, Hong Kong, Japan, and Singapore to ensure that XL8 users have the resources necessary to deal with problems and concerns no matter their location. The level one technicians have XL8s on-site, and are able to duplicate configuration and operational issues in tandem with the user. The standard configuration of the XL8 is as 96 channels, plus 16 aux mic/line inputs with a 24-bit, 96 kHz sampling rate. Larger connectivity configurations can also be specified, although the current maximum mix matrix is 112 x 51. Quite unlike an analog console which likely consists of just a power supply and a mixer surface, the XL8 system is the sum of multiple parts. This is the actual work surface of the XL8 system, with a standard configuration consisting of five discrete bays comprising three input modules, one mix module, and one output module. In keeping with Midas’ design goals of modularity and fault tolerance, each of the console bays is a discrete unit with its own power supply, processors, and displays. This approach ensures that a system fault in one area of the console cannot result in a total system failure. The XL8 Control Centre incorporates the requisite motorized faders, rotary encoders, daylight-visible LCD screens, and dedicated metering that one would expect on a product of this class. The Control Centre also features user assignable grouping and color scheming, plus an innovative KVM (keyboard, video, mouse) switching capability that allows the console to control three remote PCs or Macs and display their output on the display of the Control Centre. Other niceties include white LED lighting, 63 discrete 20-segment LED meters, a slide out keyboard, and dual trackballs. The input modules of the XL8 include three discrete microphone preamps per channel, simplifying routing audio to multiple destinations such as monitor, front of house, and remote broadcast utilization. 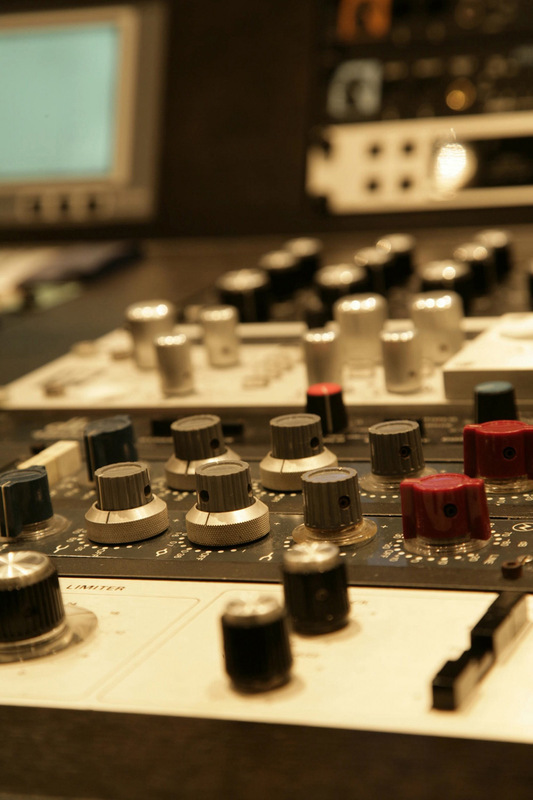 Incidentally, the microphone preamps share the same overload characteristics common to Midas’ well-regarded analog consoles, which many engineers have used (and abused) to their advantage! Each of the 96 input channels also includes a four-band parametric equalizer with four selectable filter types on the high and low EQ sections, high and low-pass filters with two selectable filter types, frequency-dependent compressor with four compression types, frequency-dependent noise gate with side chain, routing to 32 auxes or 48 foldback mixes for monitor usage, phase reverse, phantom power, insert points, input delay, pan pot, and routing to mono busses. Whew! In addition to the display screen and associated faders, the mix module of the XL8 features 12 VCA groups, eight population (POP) groups, and 32 mix busses which include: a six-band parametric equalizer (or optionally a 31-band graphic equalizer), subgroup, auxiliary or mix-minus modes, dual mono or stereo modes, frequency dependent compressor with five compression styles, insert points, direct input, and routing to the 16 matrix busses. Additionally, dual trackballs, a slide-out keyboard, communications panel and associated display screens, and KVM switches are included in this section of the console. l DL-431 – Audio System Input Splitter – The XL8 system includes four of these input splitters which each contain 24 mic/line inputs with three microphone preamps, three analog mic splits, integrated dual-redundant power supplies, and two AES50, Ethernet, and USB connections. l DL-451 – Audio System Modular I/O – Five of these user-configurable XLR connector- based units are included in the XL8 system. They may be configured in banks of eight channels as analog mic/line inputs, analog outputs, or digital AES/EBU inputs and outputs. l DL-461 – Audio System Signal Router – Two of these 3U rackmounted units are provided with the XL8 system. The DL-461 provides connection between the Control Centre and the various other modules. l DL-471 – Audio System Signal Processor – Ten of these 1U rack mounted DSP modules are included with the XL8 system. The system actually requires only nine modules, the tenth is a backup. l Klark Teknik DN9331 Helix Rapide – This 6U module can be rackmounted or freestanding and provides a motorized 31-fader graphic equalization controller for the XL8’s onboard graphic EQs. Although the XL8 uses standard Ethercon connectors and CAT 5 to link the various components of the system together, Midas has chosen to license Sony Oxford’s AES50 (SuperMAC) digital transfer protocol which provides much faster and denser communications compared to standard Ethernet connectivity. Each CAT 5 link can carry up to 24 channels, bidirectionally. Each network link is physically duplicated for fault tolerance reasons. Latency is stated at 70 from end to end. For connection between the stage network and the FOH position, Midas uses the Sony HyperMac protocol, which, Midas’ implementation, carries 192 channels of audio plus standard Ethernet protocol, bidirectionally down dual-redundant CAT 6 or fiber-optic cables. The XL8 strikes a very nice balance between the visual and the tactile. Unlike some digital consoles that require paging through layers of menus (and submenus) virtually every control that one would need is located within arms reach, and in a logical location. This is due in no small part to the contribution of design engineer Alex Cooper, responsible for other Midas console designs in the past, including the venerable XL4. On each of the three input modules that comprise a standard XL8 console, a master control detail strip is provided on the right hand side of the module which allows for full (and detailed) control of a selected channel, the screen above this strip displaying detailed information keyed to the operation underway. Unlike some other digital consoles, this expanded channel strip section is in addition to (not in lieu of) functionality on the channel strips themselves which allow for control of essentials like EQ, dynamics, VCA groups, and of course panning and level. The on screen graphics are well rendered, with graphics perhaps a tick down from fully photo realistic, but certainly clearly visible and informative. In a clever touch, the vintage style equalizers and compressors feature chicken-head knobs, which provide an immediate visual cue to the operator as to the operating mode of the processors. Effects racks can be custom configured on a project basis, and much of the console can be color coded as per the operator’s preferences. The equalization and compression models were developed by analyzing engineers’ application-specific requirements, as well as leading hardware devices. In the fully operational demonstration of the console, it was apparent that it shared the common “Midas sound” in spite of its digital rather than analog topology. The equalization was specially designed to mimic both the curves and tapers of its analog stablemates, even to the point of having phase shift introduced into the algorithm, as Midas found that that made it easier for engineers to “zero in” on a particular band. While I understand the thinking behind this decision, perhaps a phase-compensated option could be incorporated for those who wish to take full advantage of the digital EQ technology commonly found in high-end workstation plug-ins. Although I didn’t have the opportunity to actually mix a live show with the just-introduced console, during a hands-on demonstration period, I was able to test various processors within the console, and I feel quite comfortable in saying that the onboard processing is uniformly excellent. It’s certainly possible to integrate outboard equipment (both analog and digital) into the console, due to the flexible nature of the DL-451 modules, but with the excellent quality of the onboard processing, I’d think it hardly necessary to supplement the onboard options. This combination of fault tolerance, excellent sonics, and intelligent evolutionary interface design is exactly what we’ve come to expect from Midas. Add to that 24/7 tech support and a solid warranty, and it’s easy to see why those with the need and the means for a high end console are well advised not to purchase anything before auditioning the XL8 system. Contact: Midas/Telex at 800-392-3497, www.midasconsoles.com.